Al, you still got it. Everyone, Al's still got it, you hear that? Erin, tweet that out. Al's still got it. The world should know. 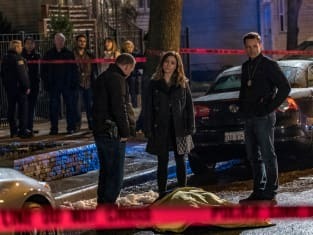 Chicago PD Season 4 Episode 20: "Gasping for Salvation"
We gotta figure out who killed Richie Dowd so that Voight can figure out how that gun was used in the Ruffalo murder, which is starting to look like a real wobbly conviction right now.